The reckoning is close at hand. Judgement day, if you will. The yearly formal announcement of a new Call of Duty game. The events are either met with applause or a myriad of downvotes on YouTube, but today's livestream will likely be a high point for the franchise's rocket history as of late. It's back with Call of Duty: WWII. We sort of already assumed this given the recent rotation of the franchise (Infinity Ward were responsible for 2013's Ghosts, then new team Sledgehammer took over with Advanced Warfare last year), but Activision has confirmed in its Q4 2014 financial briefing that Treyarch will handle development duties on 2015's Call of Duty. What exactly they're cooking up, we still don't know. 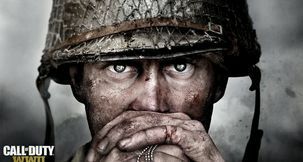 Could a sequel to the studio's first effort, Call of Duty: World at War, be on the way? 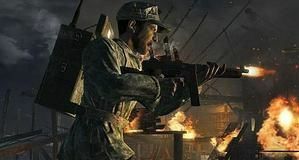 Speaking at the DICE Summit earlier this week, Treyarch studio head Mark Lamia had a confession to make; he almost killed off the wildly popular Call of Duty Zombies mode from 2008's World at War. With the development staff already stressed out from a tough development cycle, Lamia was surprised to discover that a small team had been working on new multiplayer prototypes. At the time, this sounded like a bad idea. Major Nelson has released a list of content for the upcoming week of Xbox Live Arcade, including four Xbox Live Arcade titles, one of which is the long awaited platformer Fez. The major Games on Demand being offered include EA Sports' hot FIFA 12. The hot deals for the week include SNK's King of Fighters and Metal Slug games, while the following week's discounts focus on Call of Duty: World at War and some Modern Warfare items.